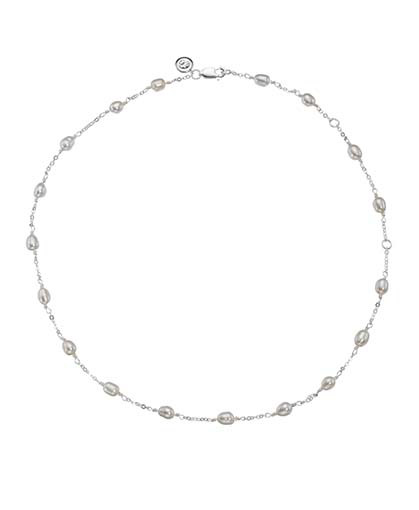 The classic Molly Brown Signature Pearl Station Necklace features lustrous freshwater pearls set on a sterling silver chain. The necklace is adjustable at 12", 14" and 16" to accommodate different ages and sizes. The matching Signature Pearl Station Bracelet is also available. 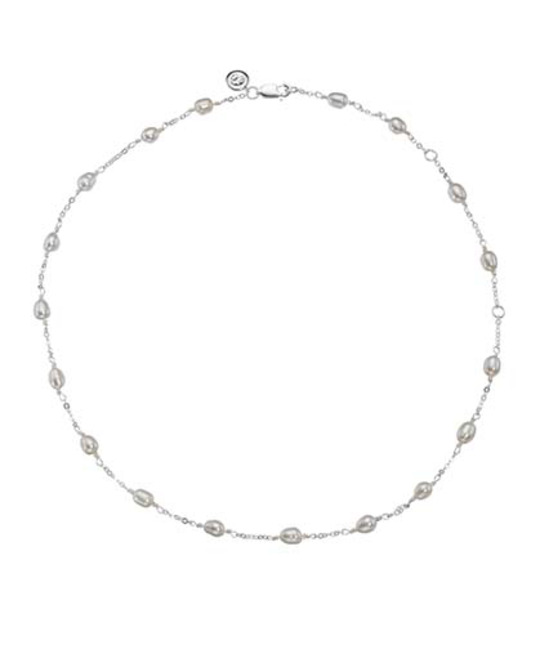 The necklace would make a perfect Christening Gift or birthday gift that can be loved and worn forever. All Molly Brown jewellery arrives with complimentary luxury gift-wrap. PEARL CARE: Pearls can be cleaned using a soft lint-free cloth, dampened with water, allow pearls to air-dry before putting away. Store in jewelry pouch provided with purchase.